Ashwin Patel’s doctoral research in Sport Psychology at the University of Tennessee featured a performance enhancement study that focused on the adrenaline filled sport of professional motocross racing. Popularized through the X Games, an emerging fan base, and an ever-growing circuit of races throughout the USA – Motocross racing has acquired a huge following and millions of dollars in sponsorship money. For Ricky Charmicael, Bubba Stewart and racers at the top of the heap the story can be a glorious one from rags to riches…but what about those on the fringe trying to make a go of it? They’ve got game, and they are undisputedly great athletes…but what does it really take to make it to the top? Dr. Patel does a remarkable job clarifying just those factors and articlulating the mental conditioning required to race professionally and compete at the highest level. Much of this interview will surprise you, but there is no mistaking the need for physical conditioning, specific forms of mental preparation, technical expertise, and tactical skill sets. Oh, and by the way, because we’re dealing with mechanical wonders in a high performance sport….don’t forget luck can play a role as well. These things all factor into the life, development and eventual success of professional motocross racers…or not. Take a listen – you’ll be impressed I’m sure. 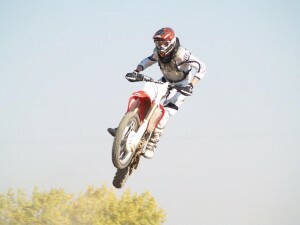 Dr. Patel is currently on the faculty at Western State College in Gunnison, Colorado and still working with motocross racers in addition to teaching and working with collegiate athletes.